Two months of buzzing past the same row of Market 707 Cargo Street Vendors on the 505 streetcar June 2013, I’ve finally made my way up here upon a mate’s craving for mayo and rice (and you better bet he went for an extra drizzle of mayo). Good ol’ Gushi. 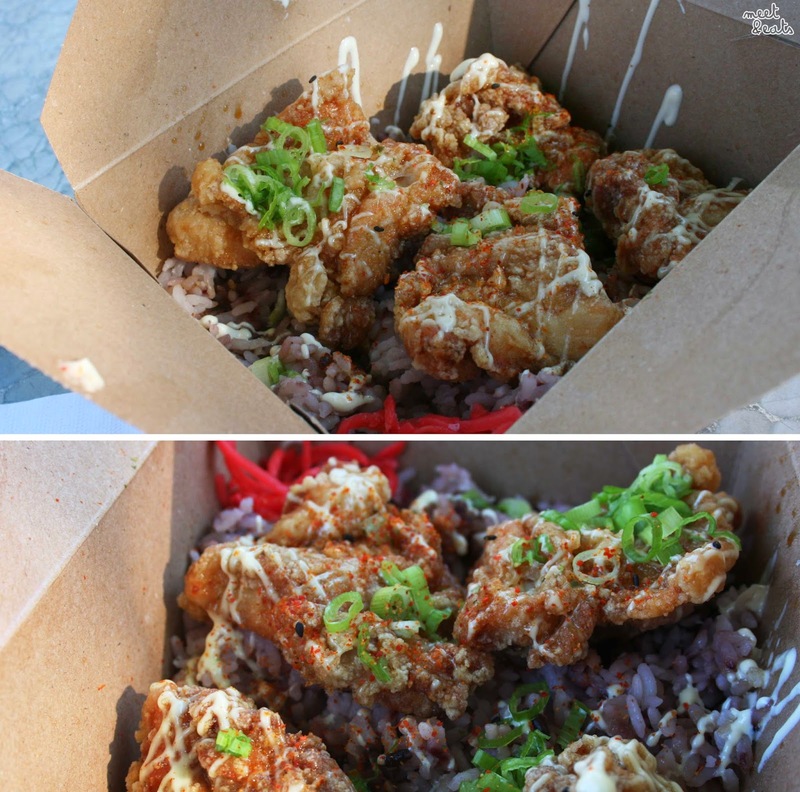 Their menu is mainly focused around their all-time popular Deep-fried to order, Gushi Chicken on either rice or fries ($8~9). Their Deep-fried Chicken uses no eggs or dairy in the process; dusted lightly in a potato starch for minimum oil-absorption and the ultimate crisp! A box of the deep-fried goods alone runs for $9, and a party pack runs for $25. My favourite part of Fried Chicken has always been the batter – but, with no batter in use, Gushi Chicken was fantastic! I didn’t feel as guilty as well, served up on a bed of mixed rice – this was tougher than your usual, it held a lot more texture, which meant that it needed a lot more sauce! Wow? I was contemplating between getting one Hotdog on Rice ($3) or two ($5) – they also have the battered Hotdog sold singular, for $2! I went for the less greedier option, and had one. It was just enough! 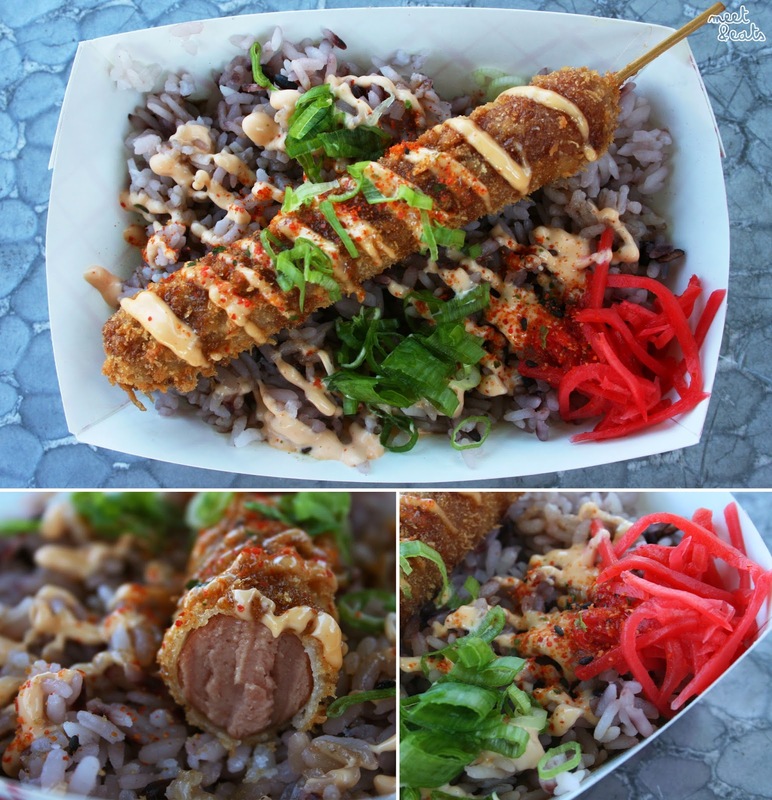 The boil-and-go type of hotdog was served up, battered and fried-to-order, on a bed of mixed rice and garnishes. Again, the Hotdog on Rice needed a lot more sauces to completely satisfy me. The Pickled Ginger was very light in ginger-tang, I liked it! 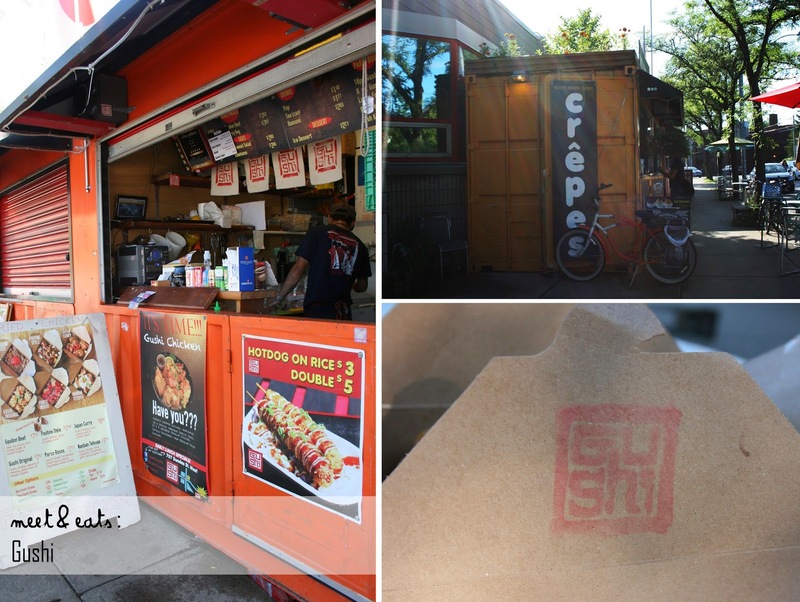 Gushi’s menu items come in great portions, great value for price! Get ready to become well-fed for well under $10! I would always like more flavouring and sauces on my dishes though. I would like to come back to try another one of their more flavoursome Gushi Chicken – I have my eye on the Nanban Tetsuya. A fair warning that the prices on the billboard in-store do not show the correct price, the online menu does.